In this day and age of omni-channel, retail is all about the customer. What the customer needs and demands, how do they research and shop, which channels do they use to interact, what is their opinion about brands and products, what are their interests and preferences, which demographic segment do they belong to, what influences their purchasing, and so on – these are the questions retailers need to seek answers to, so that they are able to understand and serve their customers better. Additionally, since the consumer behavior is dynamic and so is the retail business, the same answers may not hold true every time. Thus there is a need for the retail companies to put in constant efforts so as to be able to keep pace with their consumers’ changing demands. In order to be able to service their customers to the best of their abilities, retail brands must have a holistic approach in strategizing, conceptualizing, creating and offering experiences that can impress their customers. As such, the shopping experiences must be positive and enriching. There are 4 essential pillars of retail customer experience – personal, mobile, seamless and secure, that retailers need to focus on for optimal results. 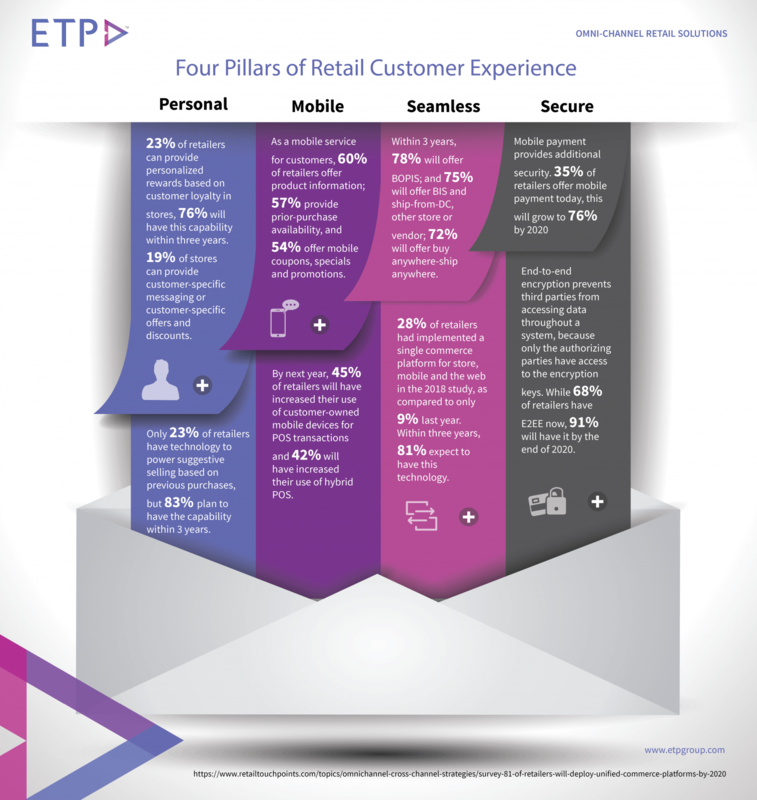 Below is an infographic that illuminates the importance of these 4 pillars with some industry statistics that retailers need to pay attention to.